Indians had an opportunity to see legendary boxer Muhammad Ali in action in 1980 when he visited the country for exhibition bouts titled 'Greatest to Greatest', the reference being to him and to Indira Gandhi, who had just returned to power. Ali played exhibition bouts in New Delhi, Mumbai and Chennai when he visited the country at the invitation of London-based NRI industrialist Lord Swaraj Paul, who paid glowing tributes to the boxer on Saturday, saying, "He was truly a legend. Crowds in India were thrilled to see him in action." Even more thrilled were the boxers who got a chance to interact and exchange a few blows with the American, who was revered not just for his skills inside the ring but also his bold stand on issues related to civil rights. One such boxer was Tamil Nadu's Randolph Peters, who got a chance to trade punches with Ali. Peters says he still cannot forget the surprise on Ali's face when he asked him for a "bit of shadow boxing" after being among the "lucky few" who were formally introduced to the enigmatic great. "I was the Railways featherweight champion at that time. All of 25, I clearly remember, one by one we shook hands with him. When my turn came, I requested him for a session of shadow boxing," recalled Peters while speaking to PTI. "He was very surprised and said 'you small man, you want to fight me? I will throw one left hook and you would go flying out of the stadium'. "I could only smile at that and went back to my seat after the introductions. After the exhibition bout (against former heavyweight champion Jimmy Ellis), he called out the local guys for some fun," he said. "He saw me and gestured me to come forward. I went up and we probably sparred for two minutes. He had obliged me and I was thrilled. He later gifted me his left hand glove which I still have," added the now 63-year-old. 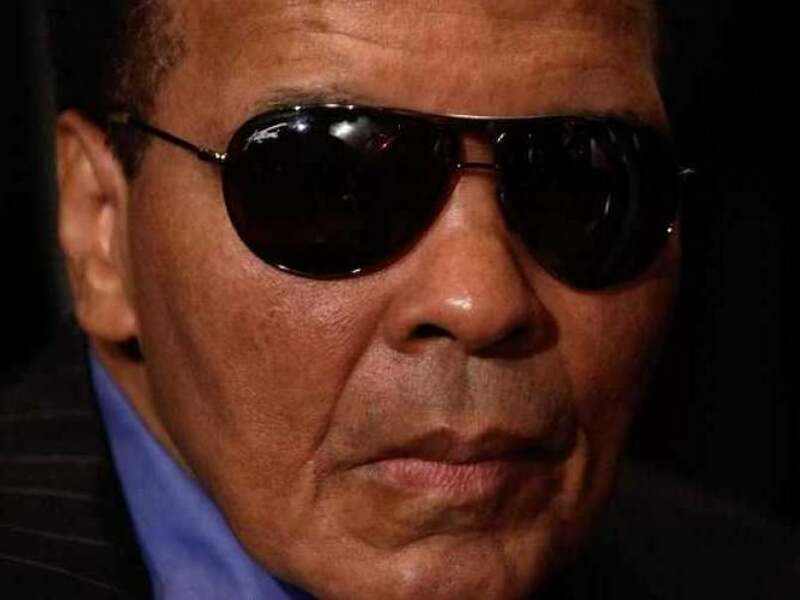 Ali breathed his last at a hospital in Phoenix, where he was admitted owing to respiratory complications. The three-time world heavyweight champion was among the most influential sporting icons in the world. In 1960, Ali won an Olympic gold medal as a light-heavyweight. After turning professional, he defeated Sonny Liston by KO in the seventh round and became the World Heavyweight Champion in 1964.